Our site is dedicated to offering insights into these fascinating places and how to get to each one. Crete Attractions - Knossos Archaeological Palace is the most popular attraction on the island of Crete with good reason. It was the central and most magnificent palace of a fascinating culture, the Minoan, as far back as at least 2000 BC and represents the birth of civilisation in Europe. That being said, and if you really do not want to visit this extraordinary site of Κνωσός, you can see Minoan sites all over the island, with far fewer tourists, tour buses and noise. Knossos does get really busy, especially in the summer months of July and August. If you do wish to explore with organised transport and a guide, choose your kind of experience below. 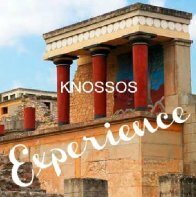 Half-Day Knossos Palace Tour - 5.5 hour tour includes Koules Fortress and Agios Titos church in Heraklion as well as a guided tour of the archaeological site. See the controversial reconstructions completed by the archaeologist Sir Arthur Evans, and hear the stories of the labyrinth from your experienced history guide. 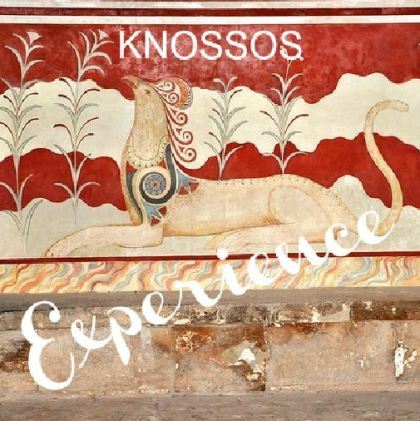 Take a Knossos Palace Tour - there are a variety of guided experiences available, from a Skip The Line entry ticket with a guide for 90 minutes, to a 12 hour day tour which includes Knossos and Lasithi Plateau. Crete Attractions - one of the most important collections in Greece and a must for history buffs, the collection at the Heraklion Archaeological Museum is mind-blowing. Allow at least 2 hours if you are a casual observer, and if you enjoy history, consider breaking the visit into two 2 hour visits, with lunch in between, as there is just so much to see. In summer the museum really does get very busy with coach tourists, so try to arrive early or visit in spring or autumn to really take your time to enjoy it in peace. Crete Attractions - the old town of Chania is an extraordinary intricate web of narrow laneways with a different story from history around every corner. See the old Venetian quarter, the Venetian Lighthouse and harbour, and see the old Ottoman and Jewish quarters. Visit ancient sites just next door to modern stylish boutiques, and enjoy your evening cocktails down by the water to watch the sunset. 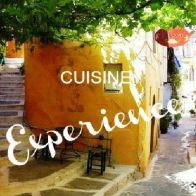 Crete Food Tour of Chania Old Town - a 3 hour walking tour of the picturesque Venetian town with food tasting. 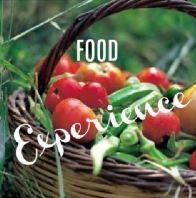 Be led by a local down little-known laneways to out-of-the-way cafes and try mezedes of Cretan local food. Street Stories of Chania Morning Tour with Samples of Raki and Mezedes - visit the local food markets and walk for 4 hours through the gastronomic highlights of this fascinating historic town, visit the old Jewish and Ottoman quarters and taste the locally made white spirit or raki. Enjoy mezedes, which are little appetisers. Find out why the Cretan diet is one of the healthiest in the world. 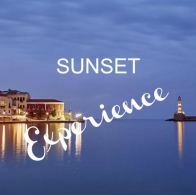 Crete Bohemian Sunset Small Group Tour with Wine Tasting and Dinner - enjoy your evening with a local guide showing you a hidden spot only known by locals, from where you can watch an uplifting sunset and then visit a hidden garden in the old zone to eat dinner and taste local wines - this is a 4 hour tour that you will never want to end. 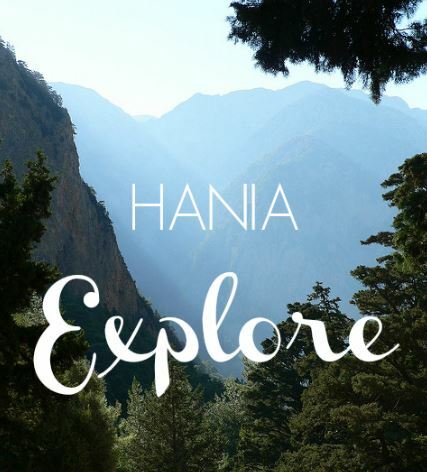 The popularity of Samaria Gorge has its well-founded reasons, it is a spectacular gorge with very high walls that are narrow at one point, with surprising scenery at every turn. The challenge of walking 16 km over a rocky path, however, is really for experienced hikers. The average tourist isn't really ready for a walk like this. Yet still they bundle out of their coaches by the hundreds in peak season. So, if you do not want to be surrounded by too many people, and perhaps looking for a little more peace and quiet in your hiking day, we suggest Agia Irini Gorge as an independent alternative. This stunning gorge walk is 7 km and can be extended to 12 km to walk north-south and end in the tiny seaside village of Sougia. If you are fit and an experienced hiker, perhaps walking with a guide will be a good solution for your gorge experience. 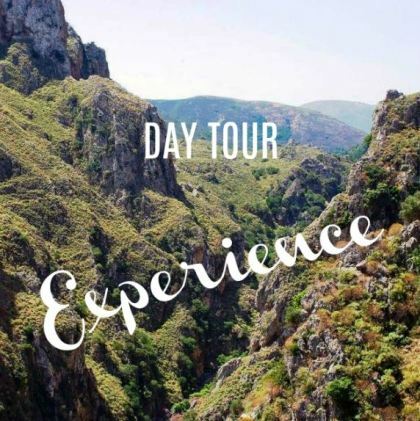 Small Group Hiking Trip to Samaria Gorge - this is a 14 hour day to enjoy the walk without the hassle of transport and logistics. Walk 16 km, arrive at the coastal village of Agia Roumeli. Then take your ferry and a coach back to your hotel. Sorted. Crete Attractions - the Old Town of Rethymnon is brimming over with history, beautiful architecture, atmosphere and great cafes and restaurants. Crete Attractions - here is our suggestion of an alternative way to enjoy Elafonisi Beach. 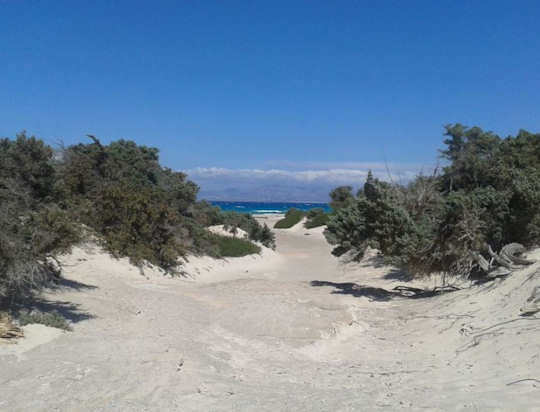 Take a local bus to Elafonisi, enjoy the beach, then walk along the E4 European Walking Path by the shoreline, stopping at your own choice of beaches for a swim, and finally arrive in Paleochora village. Total walk is 18 km, along the seaside. You could stay the night and explore many more beaches the next day, or take an afternoon bus back to Chania. 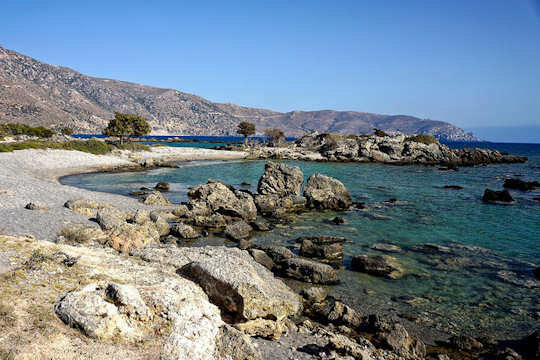 Take a day tour to Elafonisi Beach - because sometimes you just want to relax. Visit this pristine, undeveloped beach. This 12 hour experience. Crete Attractions - as an alternative to the beautiful Balos Lagoon, independent travellers might choose to visit Falasarna Beach (pictured above). 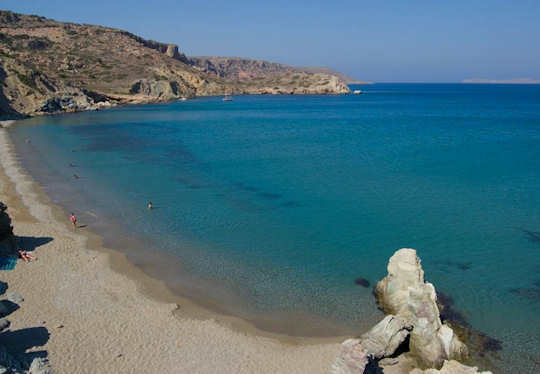 Take the local bus from Kissamos, and choose from five sandy coves or walk to Ancient Falasarna before taking a dip. Find a bit more privacy and space at these wide, expansive beaches. A Day Tour to Balos Lagoon - this helps with logistics of coach ride - boat ride and return coach ride. Make a full day of visiting paradise, this is a 14 hour tour. Very convenient if you are staying in Chania or Rethymnon. Crete Attractions - Preveli Beach and Palm Forest are so beautiful, located at the end of Kourtaliotiko Gorge, in southern Rethymnon, in a fairly inaccessible area. Drive on mountain roads, walk down the steep access path or take a water taxi from Plakias, and you will be rewarded with a fantasy valley of opulent greens and blues. Unfortunately the protected beach, with its freshwater lake and palm forest, can get a little too crowded in summer. 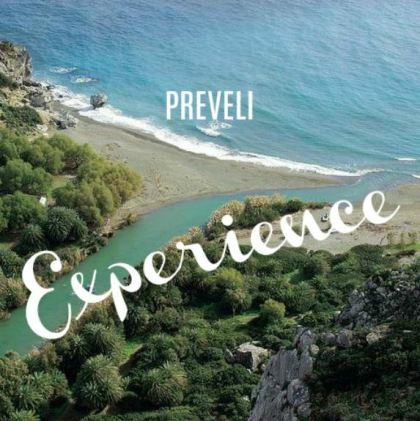 Take a Day Tour to Preveli Beach from Rethymnon - this full day 12 hour tour takes you to the historic Preveli Monastery, Preveli Beach and Palmgrove, and for lunch at Damnoni Beach. Crete Attractions - the Island of Spinalonga is uninhabited and covered in ruins. It lies just a few hundred metres off the hamlet of Plaka near Elounda in eastern Crete. The fascination with this island is its unusual history. It was a leper outpost until as recently as 1957. 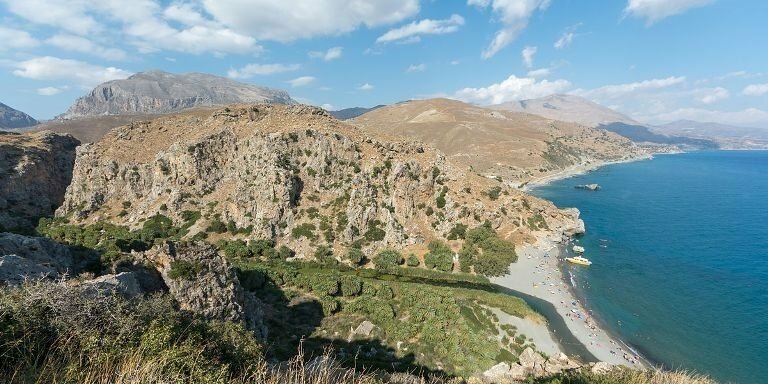 This area of eastern Crete is full of beautiful, rugged and unusal countryside. We suggest the alternatives of sailing on the beautiful Bay of Mirabello as a day to remember, or hiking in Kritsa Gorge. 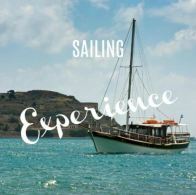 A Boat Trip to Spinalonga with BBQ - depart from Agios Nikolaos or Elounda for a guided tour of the island, then take the afternoon for a swim and BBQ lunch. 8 hours. Sailing on the Bay on the wide and beautiful Mirabello Bay from Agios Nikolaos, with the Sitia Mountains in the distance and the sea sparkling all around. Visit Elounda Bay, Spinalonga Island and relax on the Med in style. 4 hours. 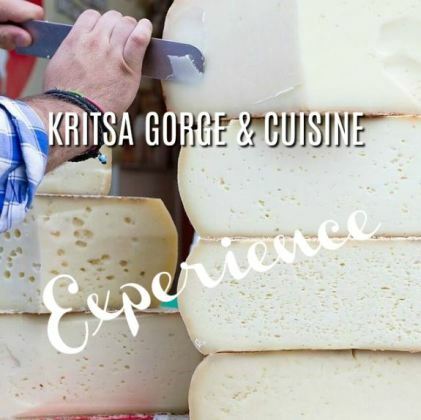 Explore Kritsa Gorge, Plaka Village and Spinalonga Island on a day tour with local Cretan Cuisine as a highlight. Make your own dolmades or stuffed vine leaves. 7 hours. Crete Attractions - whilst the visit to Chrissi Island involves a boat trip over the sparkling sea to azure waters and heavenly clear turquoise sea, the alternative is to head into the mountains and see how the locals live. 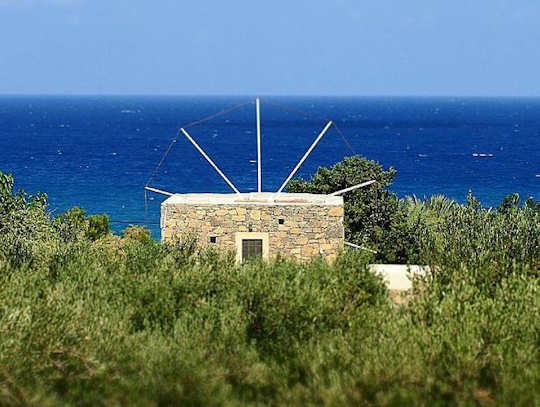 Visit Kroustas Forest, see a traditional Cretan shepherd's hut and linger over a long lunch with local food. Depart from Agios Nikolaos or Elounda for this inland tour away from the beach crowds. 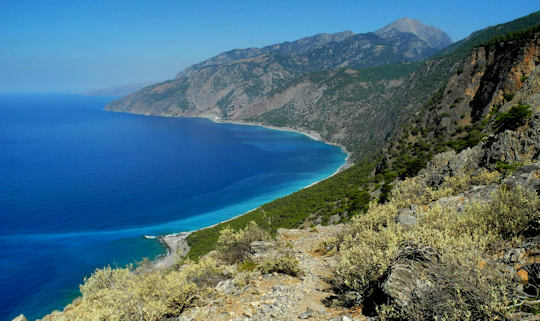 Crete Attractions - whilst Vai Beach is unique and cannot be compared, if you are looking for somewhere a little quieter in summer, we can suggest the nearby beaches of Itanos and Erimoupolis (pictured above). 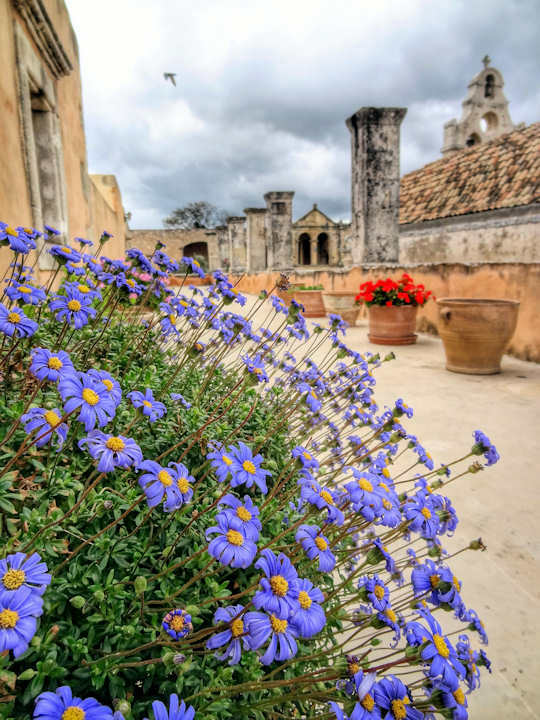 Also you could stop by the Topou Monastery which is one of the biggest winemakers in the region, and explore history before taking a wine tasting with local mezedes or appetiser plates. 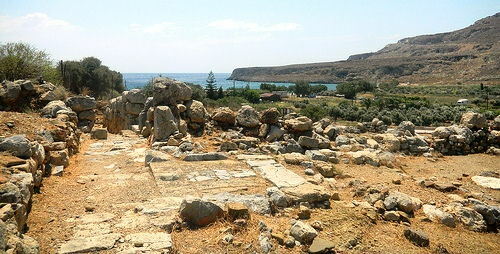 Crete Attractions - the places mentioned above are located all over the island from west to east. The most convenient airport for the west is Chania International Airport code CHQ and the other handy airport is Heraklion International Airport code HER which is very central to all locations in Crete. See more details for flights from Athens to Crete and for ferries, buses and hire cars below.